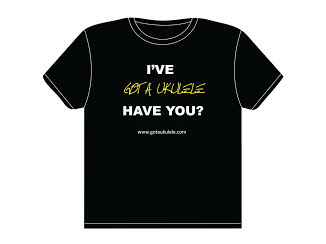 Something of a first today for Got A Ukulele. This time I am looking at a vintage ukulele called the Islander. All the way from 1950's USA. Note that there is no word 'review' in the title to this post, and that's because it's not a review. I get asked regularly on Got A Ukulele why I don't feature 'reviews' of vintage instruments, the Martin sopranos being the most requested. But I made a decision when this site started to not consider 'reviews' of vintage instruments. The reason for that is simple - vintage instruments vary widely in construction, age, condition, price and other things, and those things are integral to my scoring system. It's therefore impossible for me to realistically 'review' one because whatever I have in front of me may differ widely from others that may appear for sale. In the vintage market you kind of 'take what you can'. Saying all that, vintage instruments do deserve a place on the site, so when I had the chance to grab this one for sale recently, I quickly decided it needed a mention on Got A Ukulele. Anyway, let's have a quick look at this one and the connection to other plastic ukes. 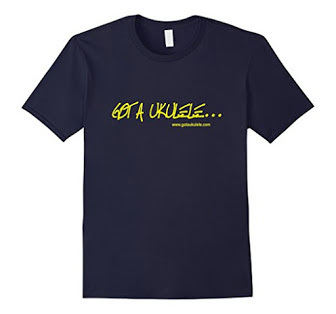 The first model people may think about today when they think of plastic ukes is the Kala Waterman, or perhaps the Outdoor or maybe a Bugsgear. Each are made from ABS or polycarbonate plastic, and whilst the Outdoor has some fans (I played one and hated it i'm afraid..) and the Waterman has far less (an understatement! ), these are generally what come to mind. I guess there is also a feeling that they are not truly serious instruments, though I may get flamed for that. But there is a natural connection to Maccaferri. The Waterman on the original packaging suggests it was inpsired by the Maccaferri Islander and comparing the two the similarities are obvious. So they are the same thing, right? Wrong. First up a word about the materials. I will probably regret getting into the technicalities as I am no chemist, but the ABS in the Waterman is not the same as the stuff the Islander is made from. Maccaferri's testing led him to use a material trademarked as 'Styron' which is actually injection moulded polystyrene. Polystyrene and ABS are both thermoplastics and are both 'styrene' based, but they do have different properties. ABS is more impact resistant and flexible and Polystyrene is more brittle for example, but Maccaferri chose his 'Styron' because he believed the sound was better. 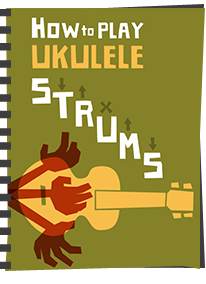 Certainly the modern day ABS ukuleles I have played have a tendency to sound 'lunchboxy' and thin, coming from the plastic. Will the styron differ? I am also no expert on dating vintage instruments, but Islanders first appeared in 1949 and ran until the late 1960's. What I DO know is this colour combination (swirly dark red/brown back (called simulated rosewood) and cream top) was of the original Islander designs so I am guessing this is an early one. They also sold for about $5 or $6! They then went on to be available in a dizzying array of colour combinations, but these brown and cream ones were the first. Experts in Islander's please do get in touch to correct me if I am wrong! So as I say, this is a soprano scale, with a double bout modelled on a Martin ukulele. It's made of injection moulded pieces of Styron similar to the Waterman concept and glued together. We have a single piece back sides and back of the neck onto which the top, bridge, fretboard and headstock face is set. There is minimal decoration aside from a simple soundhole rosette, but decoration would be besides the point of these. The rosette is actually a plastic inlay rather than a transfer. The bridge is made from the same brown plastic as the back and is a slotted style with some patterning on the top. The bridge is straight and looks to be removeable - not sure if it is though and I am not trying! The neck is a single piece topped with the plastic fingerboard with and integral 12 frets and a zero fret up at the nut to help with intonation. I like that the fingerboard has the same swirly brown / red colour as the body and the end detailing is pretty. It's also shiny which for some reason appeals to me too. It is plastic after all! What is staggering is despite this being nearly 70 years old, the silver paint on the frets is still there. The silver paint on my Kala Waterman wore off in 2 days... We have position dots at the 3rd, 5th, 7th, 10th and 12th in silver dots and whilst we have no side dots, that doesn't surprise me for the age. Profile wise, this is fairly flat and a pleasing 35.5mm at the nut. Nice. The headstock is faced in cream to match the body and holds the Islander logo which differed a bit depending on the date of production. The logo is one of the more complex ones I have seen on these and I like it. They all carried the Maccaferri 'crest' though. Tuners are friction pegs which the originals were fitted with. I have no idea on the providence here and whether these have been changed, but if they have they were changed a while ago - I say that because the chrome work has started to rust and corrode with age. They still work well though. The buttons are cream and the friction appears to be created by either a cork or cardboard washer where they join the headstock. I also doubt these are the original strings, which were originally Islander branded nylons. These look like fluorocarbons to me. And finally, one of the other reasons I can't do a review of this one is because I can't fairly score it on value for money - these change hands for all sorts of prices from top dollar for museum quality pieces to ones people find in garage sales. This one though is in excellent condition for it's age. It's unlikely you will find one regularly for $5 though! 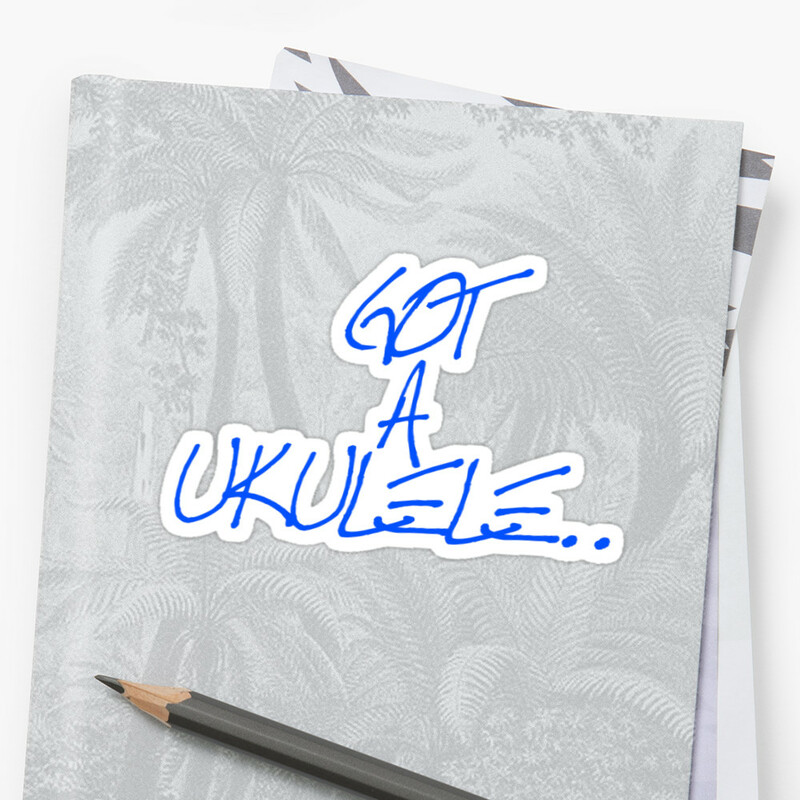 But hang on, you say, isn't this JUST another plastic ukulele? Who cares? Well that's what is quite remarkable here. Firstly, one of the big gripes about Watermans and few other plastic ukes is the flexible plastic leading to really high actions, dipping tops on the Kala's, bendy necks on the Korala's and the like. So one would assume the same here? Well, despite this being so old and having been strung under tension for many years, the action on this is incredibly good and low. I'm staggered. There is a slight bit of dipping on the top but nothing like on some brand new Watermans I have seen. I put that down to that difference between Styron and ABS I talked about above. Brittle, not flexible. Of course that brittle nature means there a lot of these out there with cracks in them, but thankfully this one has surived its years. The intonation too, whilst not absolutely perfect is really decent too. Again, the lack of flexibility in the top or the neck can only be helping here as the string scale stays where it should be. If anything the action may be a bit 'too' low at about 1.7mm at the 12th and I wonder if that saddle can be raised. Mind you, it's not affecting play so it may be best to leave well alone! But where it really beats the Waterman is on tone. No, it doesn't sound like a wooden uke, and does sound like plastic, but it does have a snappiness to the tone lacking in some other models. I find the Waterman a little overly warm and almost muddy. Volume is also terrific and sustain not bad at all. These are the things I find lacking from other plastic sopranos I have played from the modern era. It's great to play most of all, so comfortable and nice to own an important item from the ukulele world. So there you have it. 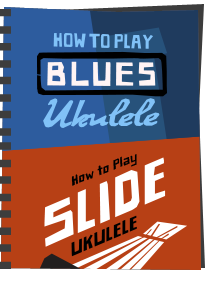 A little bit of history on the Got A Ukulele pages. No scores, no 'pros and cons'. It is what it is and it's a great little ukulele. I have put a video together below which you may enjoy. And many, many thanks to friend Tracy Craig for agreeing to sell this one to me. Nice feature Barry! I don't claim to be an Islander expert, but have ended up with three of them. I think you are right in saying that yours is an early one, as the headstock says "patent pending" - I think the patents were granted around 1951. And those do look like the original tuning pegs. I find that Worth Brown Light strings work well on them. 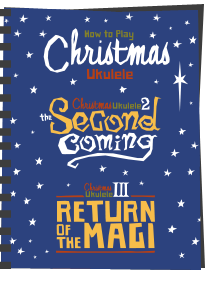 Of the three I have, one sounds much more mellow than the others, and I am using that one every day this year for my #365UkeSongs challenge - so far it is surviving! Enjoyed this non-review. A bit of history. Another great review, Barry. Nice to veer off the beaten track now and then, and reach back for a little nostalgia in this case. Your review prompted me to see what Ebay had to offer. Well, what do you know, I found a beauty, exactly like the one you reviewed for $79.00 U.S. I'm sure I'll play around with it, but it's mainly for conversation/collection purposes. 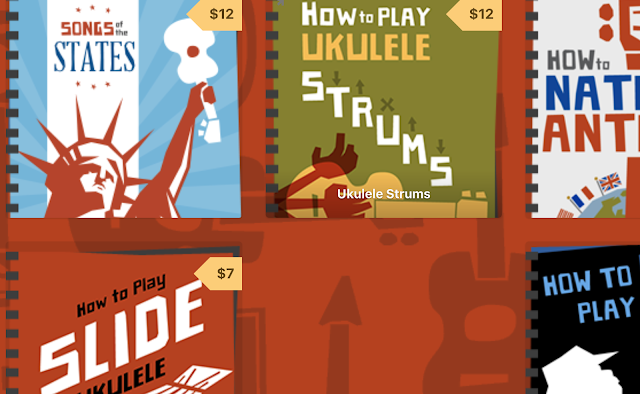 It's hard to believe that a "toy ukulele" built in the 50's can command a decent price. It's also amazing that Mr. Maccaferri could make a "plastic" instrument that is in most cases better than anything out there today. I appreciate your reviews.